CRAFITTI’s Inventive Energy measures the pace and intensity of inventive activity in a particular technological field. 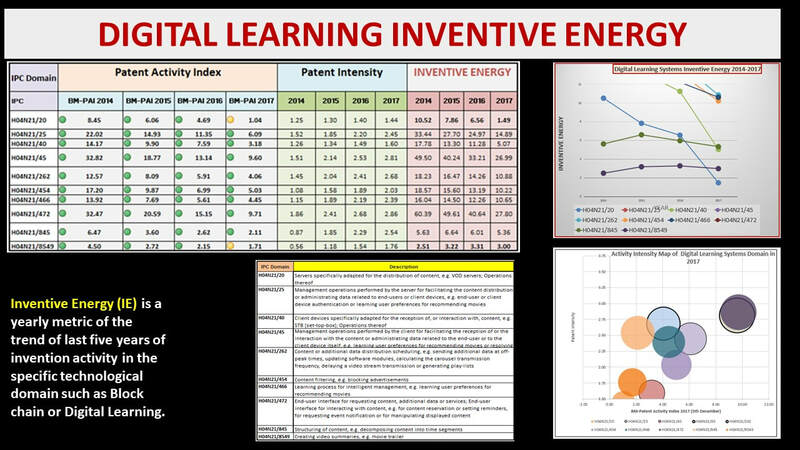 Inventive Energy provides a true picture of the state of the art of technology as it is a composite metric of Patents Granted and Patent Applications published in specific technology domains annually for a period of five years. Patent Activity Index is measured in terms of the yearly average of relative pace of patent applications and granted patents in the IPC domain. As an analogy, the Patent Activity Index denotes the Velocity or relative pace of Patents and Applications, granted and published respectively in the preceding 5 years, with higher weight assigned to recent years. Inventive Energy in specific technology domains can be utilized by existing technology players, start-ups, new players, investors, VCs, Research and Development teams and technology and Product Strategy Teams to design more informed future.